It goes without saying that lending criteria are not as lenient as they once were. However, there are loans that people with bad credit can qualify for. Sliding into the sub-prime borrowing category due to bad credit is something that can happen to almost anyone, despite the best of fiscal plans. Occasionally the unexpected simply happens, such as a catastrophic event or illness, and sometimes it just takes some people a bit longer to find their fiscal comfort zone. Whatever the cause of your sub-prime borrower status, rest assured that it does not spell the end of opportunity for you. Fortunately, there are loans available that, when used correctly, can meet your financial needs and possibly help you to re-establish your credit rating. First Choice connects you with the right lender for your needs. The loan process is quick and simple, with rapid approval in most cases. You can be simultaneously considered for a payday loan alternative in the event that you do not qualify for longer repayment terms. 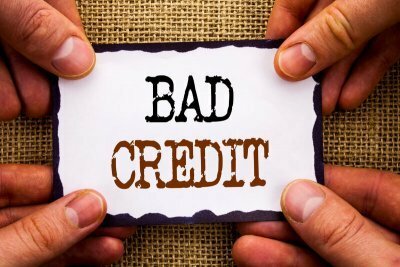 Applying will NOT impact your credit score! During the past decade, there has been a significant growth in the number of sub-prime borrowing opportunities, as well as in the types of bad credit loans available. However, with the increase in sub-prime lending opportunities has come a rise in fraudulent and predatory loans. This makes it especially important to be an informed consumer. By doing so, you avoid causing further damage to your credit and finances. You may even have the opportunity to improve your credit rating and work your way back into the “prime” category by performing well with a bad credit loan from a reputable lender. The primary differences between the two loan groups lie in the greater need for the sub-prime lender to protect themselves against default, as the odds are higher that a sub-prime borrower may struggle more to keep to the repayment schedule. Therefore, when taking out a bad credit loan of any sort, you can expect to be subject to a higher interest rate. Often, a higher down payment is required and the fees associated with obtaining the loan will be greater than those requested of borrowers with better credit ratings. Pre-payment penalties may also bear looking at, as these can also run a bit more than those associated with peer loans. While this bit of extra protection for the lender is not unreasonable, it is essential to do your research to make sure that these higher costs are not excessive. More and more consumers are turning to peer lending sites. Unlike banks, where loans are granted in a top-down manner, peer-to-peer lending sites connect people with money to lend to people who need the funds. When all goes as planned, the individuals doing the lending get a better-than-average interest rate, while the borrowers get the money they need without the hassle of a traditional bank or credit union. There are a number of advantages for borrowers who turn to peer-to-peer lenders, but these sites are not the best choice for everyone. Consumers whose only other choice is credit card financing will probably find a better deal at peer-to-peer lending sites, but people with excellent credit scores may find better interest rates at their local bank. The interest rates offered by peer-to-peer lending are often lower than those on credit cards. One recent survey found interest rates around 7 percent to 8 percent, much lower than the 18 percent to 20 percent many credit card issuers charge on outstanding balances. Of course, as with any financial institution, it is important to shop around and compare rates. Note: It is important to be aware of the fees peer-to-peer lenders charge for their services. Those fees typically range from just under 1 percent to just under 4 percent, so consumers will need to factor that into their decisions. Late payment fees for peer-to-peer lending can be as high as 30 percent, and collection fees are just as cheap. Peer-to-peer lending is not a good choice for consumers who doubt their ability to pay back the money. Banks are owned by their shareholders, while credit unions are owned by their members. This may seem like an arcane distinction, but it is an important one. Credit unions often offer better terms and lower rates on loans, and their lending standards can be different as well. If you have poor credit and a credit union membership, you may have better luck getting a loan there than at the bank down the street. You may have better luck meeting personally with the loan officer and pleading your case. Providing a legitimate explanation for your poor credit score could tip the scales in your favor and help you get the loan you need. When you apply for a traditional loan, the bank relies on your credit history alone to make the lending decision. Getting a cosigner changes the equation, since the person who cosigns the loan promises to pay the money back if you default. Getting a cosigner can be a good way to borrow money with poor credit, as long as the cosigner agrees to the terms. We do advise you to consider the pros and cons of using a cosigner before you decide to go that route. Adult children who have not yet built a credit history of their own might ask their parents to cosine a car loan, for instance. This may not be the ideal strategy, but it can be a smart move. If you have family members or friends who are willing to lend you the money you need, it would be smart to make the most of the opportunity. If you do decide to go this route, be sure to get everything in writing. Write up a formal loan agreement that spells out the terms of the loan, from the amount you are borrowing and the interest rate to how long you have to pay the money back. Once the loan has been granted, you need to make paying it back a priority. Borrowing money from family and friends can work well, but it also puts your personal relationships on the line. Lenders who are unwilling to make personal loans are often eager to provide a home equity loan or line of credit. The reason for this is simple – when you use a home equity loan you are pledging your home to the bank that lends you the money. That means less risk to the lender, but more risk for you. Tapping the equity in your home can be a good way to borrow money even if you have bad credit, but it is important to understand the risks. You should only use this strategy if you are confident in your ability to pay back the money. If you fail to do so, your credit score could suffer further and you could potentially lose your home. In a perfect world, everyone would have good credit. Unfortunately, we do not live in that world. In the real world, good people make bad mistakes — blunders that hurt their credit and their chances of getting loan. Even so, a bad credit rating does not have to mean the end of the road. With some hard work and creativity, you can get the money you need and improve your credit for the future.